Our boat, The Capability, is setting sail for tours of the Lake on weekends, bank holidays and Thursdays and Fridays during school holidays. Enjoy a short pleasure trip and enjoy views of the House and Walled Garden. Boat rides are charged at £3 per person or £10 for a family of 4 (2 adults & 2 children). 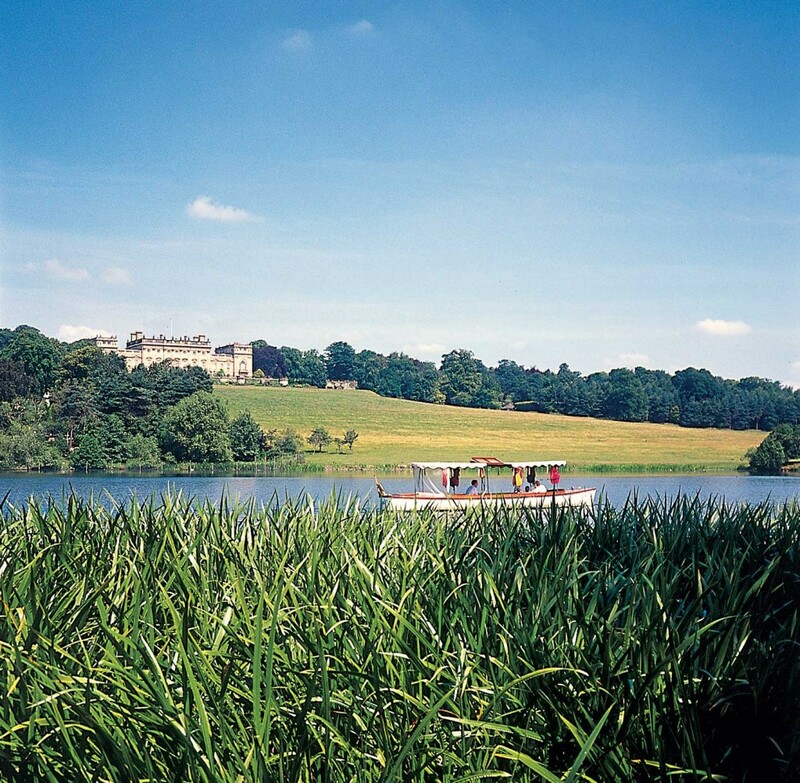 Charges apply to both Harewood Members and general visitors. Please note that in adverse weather conditions the boat is unable to sail. The Capability departs from the jetty by the Bird Garden and payment is taken by the Boat Skipper on the day. Please note, it is cash only at the jetty or you can pay by card in the Courtyard Information Centre. The Boat Skipper is responsible for the safety of all passengers. Passengers may be refused access to the boat at the Skippers’ discretion. The vessel is not suitable for wheelchairs, pushchairs and prams. Children under 12 years old must wear a buoyancy aid. Please be seated in the chairs allocated by the Skipper. Please note the boat can facilitate a maximum of 10 people per trip. No bulky items such as large bags are permitted. All valuables should be stored safely and are taken on the boat at your own risk. Please listen carefully to the safety briefing by the Skipper.